We keep you posted. 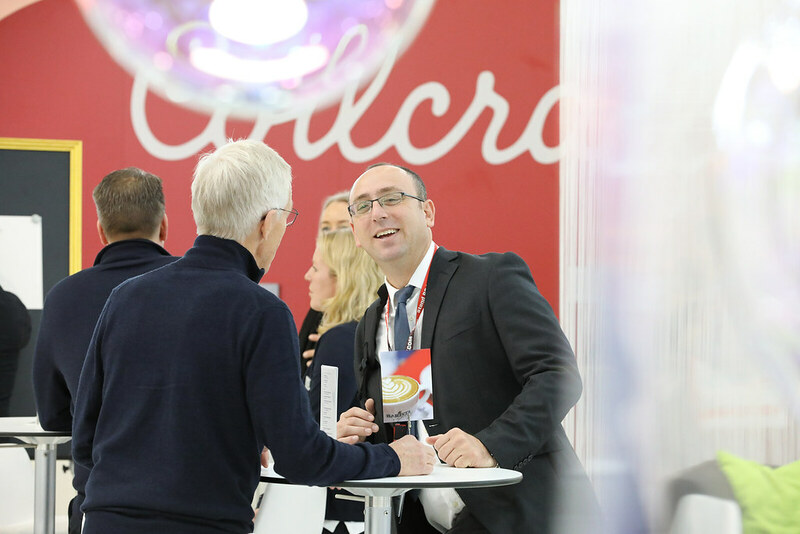 We offer a regular insight into everything surrounding our business: from product presentations and technical innovations to testimonials, our suppliers, international markets and CSR issues. These publications are available in German only. Blind Mate? Shock? Vibration? – No problem! This publication is available in German only. Tiny HF chip antennas no longer need to be banished to a “keep out” area, providing product designers with scope to create significantly smaller solutions for IoT transceivers, wireless medical modules and biosensors. HF antennas for wireless medical modules have traditionally required a certain amount of reserved space outside the circuit to prevent potential interference with other components and ensure optimum radiation behaviour. MEMS oscillators combine lower power consumption and extremely small housings with outstanding frequency stability and jitter performance over the entire temperature range. Quartz crystals have been used as clock generators in oscillators to ensure stable frequencies for decades. Indeed, they are still being used successfully in many applications. Around ten years ago, however, microelectromechanical systems (MEMS) came on the scene. Involving the use of MEMS resonators in oscillators instead of quartz crystals, this new technology is becoming increasingly widespread. MEMS oscillators have two key programmable features that can help reduce and attenuate electromagnetic interference caused by the oscillator. October 2018Why does interference come about? Why does interference come about? The output signal of any oscillator contains unwanted noise and interference signals. These signals may include random and/or deterministic elements relating to both the signal amplitude and its phase. We examine the main reasons for some of these unwanted interference signals. October 2018Is quality too high a price to pay? Is quality too high a price to pay? Developers often feel compelled to specify the most cost-effective solution for every aspect of their design to be sure that their product can compete on price. Connectors of lower quality, however, can cause premature failure, entailing extensive reworking and damaging the company's reputation in the process. Thanks to their unique chemical properties, polymer and hybrid polymer capacitors offer new opportunities when using capacitors. All kinds of electronic device are now an established part of our everyday lives and have a significant impact on our professional and private needs. Consumers want products that are not only sturdy and long-lasting but are also environmentally friendly, use minimal energy and are smaller, lighter and more reasonably priced. For a good many years now, Swiss manufacturer Micro Crystal has enjoyed world renown for its quartz crystals for a broad range of applications. Micro Crystal’s real time clock modules are the logical next step, combining the extreme energy-saving properties of real time clocks with ultramodern quartz and housing technology. Falko Ladiges reports on current issues surrounding distribution, manufacturers and users. He also discusses the latest trends and innovations in the components sector, the focus on applications and the current situation regarding component procurement. These days, clock quartz crystals, i.e. oscillating quartz crystals with a frequency of 32.768 kHz, are some of the world’s best-selling quartz modules. And yet, despite the fact that they are used in their millions in a variety of designs, many users still don’t fully understand how these frequency control components work. Spring contacts. These are probably the most flexible components for creating individual connections between circuit boards, modules or housings. As connecting elements, spring contacts are the perfect solution in situations involving impact or vibrations, or for blind connections requiring an element of contact tolerance that rigid connectors just can’t provide. Spring contacts basically have three components: precision-turned end caps, the sleeve and the contact pin – plus the spring itself, of course. These components are made from brass, while the springs themselves are made from beryllium copper or stainless steel. All components are gold-plated over a nickel barrier layer to ensure excellent conductivity, very good noise performance and low contact resistance of 20 mO (when the pin is compressed in its working position). The gold-plated finish also makes the contacts extremely resistant to corrosion. “Six electronic engineers get together to talk about passive components...” – doesn’t sound very scintillating, does it? First impressions can be deceptive, however, as demonstrated by the First Expert Discussion on Passive Components. Thermal bridges (thermal jumpers) were developed to optimise heat management in systems and to dissipate heat quickly and efficiently from active or passive components to other parts of the circuit board. Even when they are quite simple in design, aluminium electrolytic capacitors still have their downsides. Leakage current is precisely the kind of issue that developers urgently need to address. Readily available and easy to handle. Special components are often required in the laboratory stage when projects are under development. 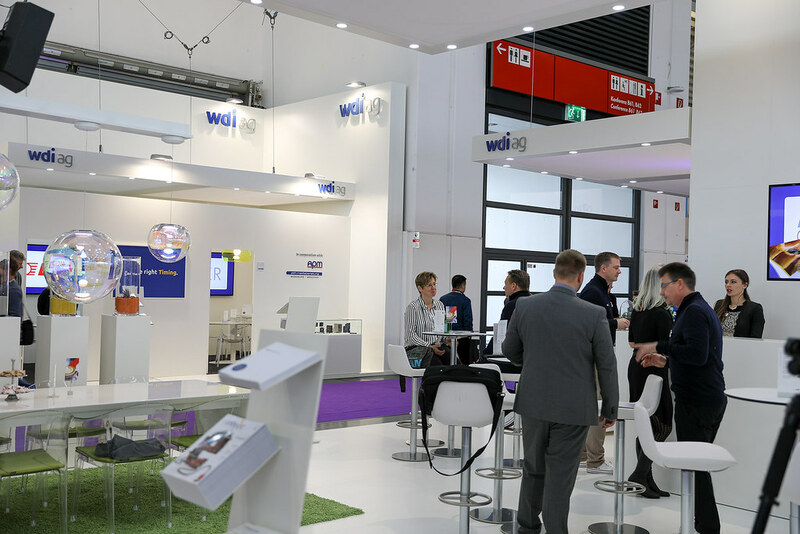 Anyone with an interest in frequency control components is bound to have heard of German distribution company WDI AG, based in the town of Wedel near Hamburg. 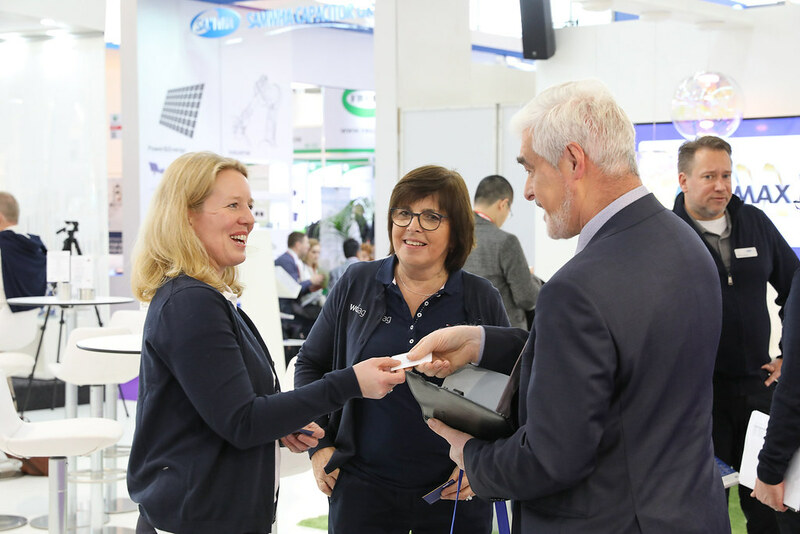 Elektronik magazine spoke to CEO Christian Dunger to find how it all began and to hear more about the company's plans for the future. Because of their technical complexity, quartz crystals are often seen as a difficult child. No wonder they’re not always the most popular components on a parts list. WDI AG - a specialist in the Frequency Control Products market segment – has been offering comprehensive FAE support and a wide selection of different manufacturers for over 15 years, helping users choose the frequency generator that’s right for them. When it comes to technical developments in quartz crystals and oscillators, WDI CEO Christian Dunger foresees ongoing miniaturisation combined with a continued trend towards solutions with even less phase noise, higher frequencies and lower operating voltages. Optimising performance by installing resistors correctly. When using surface-mounted power resistors, specific measures need to be taken to dissipate the resulting power losses efficiently. Metal core PCBs are extremely effective in such situations. Nocolok brazing for heat sinks. The Nocolok brazing process in a controlled nitrogen atmosphere is a fundamentally reliable joining technology. To ensure satisfactory results, however, a number of points should be noted. A detailed appraisal of individual customer requirements early in the process is also vital. Thick-film technology versus electron beam-welded shunt resistors. This article considers the advantages of electron beam-welded shunt resistors designed in compliance with AEC-Q200 and compares them with sensor resistors manufactured using thick-film technology. Counterfeiting concerns make traceability an issue. According to Christian Dunger, CEO of WDI AG, the market for frequency control components (quartz crystals and oscillators) “was marked in 2016 by increasing vendor consolidation and pressure on prices.” Traceability is becoming ever more important in the face of counterfeiting concerns. March 2017Passive Components - Trendsetters? Surely not? Well, yes, as a matter of fact – but not directly. Even passive components follow trends in electronic developments and market demand. Life doesn’t stand still, even where passive components are concerned. New developments, new technologies and products that are constantly being fine-tuned and adapted to meet the demands of a global market make sure of that. In 2016, the market for frequency control products (quartz crystals and oscillators) was dominated by vendor consolidation, pressure on prices and cross-market uncertainties such as Brexit, the US Election and the worldwide rise in nationalist-protectionist tendencies. There’s a wide range of resistors for use in sophisticated hi-fi systems and professional audio equipment, but it doesn’t mean that one size fits all. January 2017What is electronic hardware? Put simply, the components that hold the rest together. In the manufacturing industry, “electronic hardware” is the term used to describe all small components such as fastenings and other parts used to assemble electronic products and other technical devices. In other words, electronic hardware is what holds all the rest together. Especially during the last decade, the distribution has changed significantly - not only in active components, but also in the passive and electromechanical components. Today’s plug connectors are perfectly designed to suit their chosen application. The mainstay of such connectors is the jack, a single element used either on the PCB itself, in the housing, on the front panel or in socket strips and IC sockets. Due to their complexity, quartz crystals are regarded as “divas” amongst components, which may explain why they are not quite every developer’s favourite product. As a company with more than 25 years’ experience, WDI is moving away from its role as a traditional distributor by repositioning itself as a systems consultant offering an extensive range of services. Life doesn’t stand still, even for passive components. New developments, new technologies and products adapted to the latest market requirements all make sure of that. This report outlines new developments, changes and demands in the passive electronic components market. The trend towards higher packing densities and lower-voltage power supplies means that integrated circuits are also more susceptible to voltage spikes. Whilst electrical overstress transient voltage suppressors (EOS TVS) do protect ICs from such spikes, until now developers have always had to make compromises when selecting discrete components. Precise power-saving clock generators for small-cell applications. For many years, oven-controlled crystal oscillators (OCXOs) were leaders in frequency stability. These days, however, technological advances mean they are now facing competition from smaller, more energy-efficient VC-TCXOs. WDI discusses some of the features of these two types of oscillator. 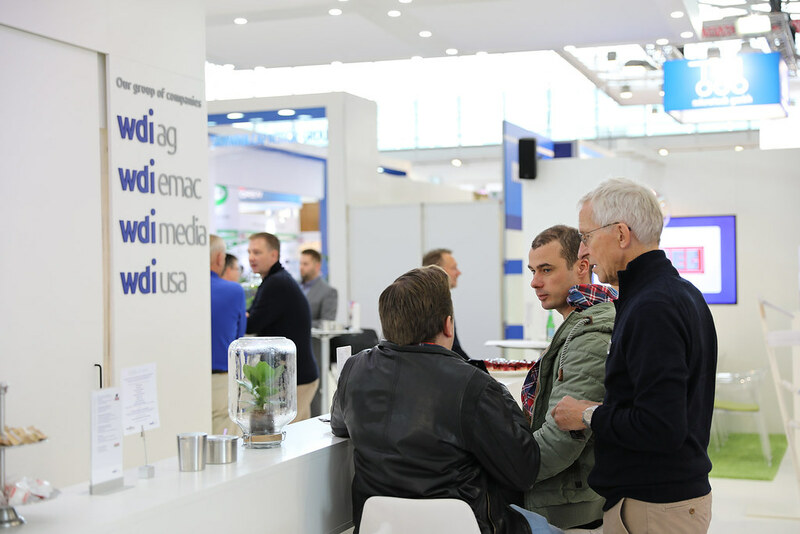 WDI is not only a specialised distributor of clock generators, it has also built up its own division for passive and electromechanical components and batteries (PEMCO for short), representing over 30 manufacturers. The main driving force behind this business division is customer demand for technical consulting for new applications and projects. Falling prices despite improved product performance. Niels Hagen, Team Leader Product Marketing FCP at WDI AG, reaffirms that advances in crystal and oscillator miniaturisation "have been a given for many years, with no signs of any let-up in 2016". What’s more, the market demands continuous improvements in product performance "in tandem with declining prices". November 2015Working with the customer to find a good balance. Working with the customer to find a good balance. EMS customers impose special requirements on their distributor. WDI offers specialist technical advice and design-in support through its FCP (Frequency Control Products) and PEMCO (Passive and Electromechanical Components) divisions. EMS and electronics service providers also make good use of this expertise and value WDI as a supplier. Christian Dunger, WDI CEO, explains just how this specialist distributor meets the highly specific logistical, commercial and technical demands of its customers. Spring contacts for flexible, quick-release connection. With all manner of different spring contacts available, new designs are emerging all the time. Although somewhat cumbersome and not exactly ideal for automatic insertion, the new designs are nevertheless following the trend towards automation: robots are now capable of inserting a whole host of individual spring contacts straight from the roll. As the past few months have shown, Industry 4.0 is driving development in the equipment and components sector. The demand for miniaturisation has certainly also had an impact on the electronic components used, resulting in a clear change in this sector too. Based on their own experience, four companies offer views on the current situation regarding components and examine possible future trends. Clock generators are based on periodic movements in the form of pendulum and rotation oscillations and also bending and torsional vibrations. If these are disrupted by acceleration torques, for example, this can lead to an undesirable change in the resonator’s rhythm. A new concept has led to the introduction of ultra-accurate clock generators which are considerably less susceptible to interference. Challenges and opportunities for distribution. No branch of industry has had to face as many challenges as the electronics sector in recent decades. How does a company marketing over 30 FCP and PEMCO product lines view market opportunities and the value of distribution? For applications which have no real-time clock (RTC) integrated in the microcontroller or have insufficient capacity, many manufacturers now offer special external clock modules. These RTC components can be integrated into an existing system environment using all standard serial interfaces, from the popular I²C interface to the 3- or 4-wire SPI interface. Due to its technical complexity, a quartz oscillator is often regarded as a source of potential problems and, as such, is not exactly one of the most popular components on a parts list. WDI AG specialises in the “Frequency Control Products” segment, offering not just a wide range of different manufacturers but also comprehensive FAE support to help developers choose the right frequency generator. The brief question-and-answer section that follows is designed to help the reader make the right choice. Gerd Reinhold deals with issues like these on a daily basis and has put together a selection of the most frequently asked questions for your information. The endless quest for precision. Even though the trend for manufacturing configurable oscillators only started just over a decade ago, the range of possible applications for high-performance frequency-control components has been extended considerably by these recent developments. The latest designs feature modular concepts with quartz and silicon reference sources, backed up by their own electronic systems for improved adaptability in line with the necessary performance characteristics. In an interview with Christian Dunger, CEO of WDI AG, the Elektronik editorial team asks why, for a large number of applications, quartz-based oscillators can claim to be a better alternative to MEMS-based oscillators. Developers of electronic circuits often begin the design process by deciding whether to use an oscillating quartz crystal or an oscillator. This fundamental decision depends on a number technical and commercial parameters, such as the required design, the dimensions, the application in question, the available budget and the desired product performance. According to Epson Manager Stefan Hartmann, when it comes to quartz-based clock generators, there is now an increasing trend towards the use of quartzes with reduced equivalent series resistance (ESR). This trend has come about because an ever-increasing number of ICs are being trimmed to extremely low power consumption levels. Miniaturisation of designs is still a hot topic, with MEMS clock generators holding onto their niche position. Hartmann, QD Department Manager for Epson Europe Electronics, explains that, although research into the further miniaturisation of frequency control components is still continuing, “customers are increasingly apprehensive about such models, because miniaturisation brings with it a fundamental deterioration in properties." WDI CEO Christian Dunger is firmly convinced that anyone who wants to succeed as a developer of analogue/mixed-signal designs incorporating frequency control components “will do so faster if they are able to consult a product specialist during the project design stage”. By agreeing deals with 28 manufacturers of clock generator modules, the specialist distributor based near Hamburg is able to cater for a broad range of requirements. 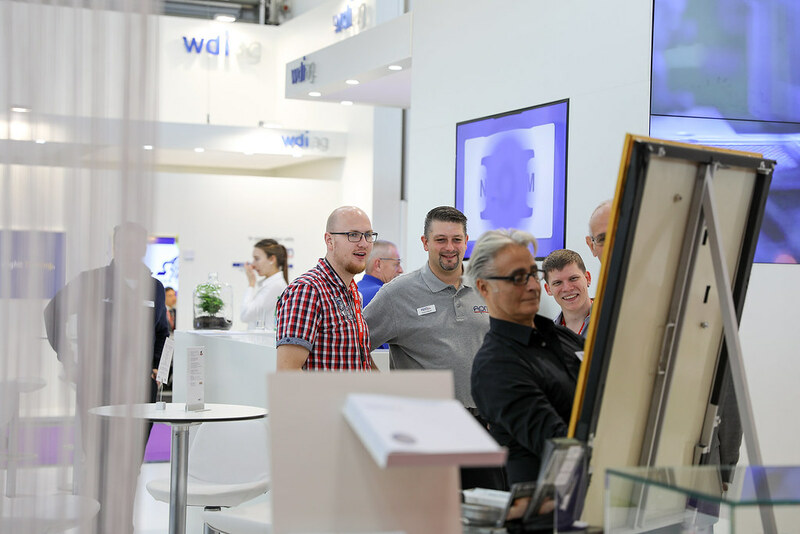 WDI AG has now become one of the main specialist distributors in the European electronics market. Initial doubts that this might lead to conflicts of interest - the business model is heavily geared to the same product from a variety of different suppliers - have long since been quashed. Connecting circuit boards with precision-turned male/female contacts. In the field of through-hole or SMD technology, developers have a variety of models and sizes of horizontal, vertical and perpendicular connection options to choose from. The components are available both as individual connectors with male and female contacts, and as moulded plastic modules or male and female connector strips. WDI shows the differences between the various models. Thorsten Broda, WDI, on the subject of wire-wound resistors. The oldest resistor technology is based on knowing the specific electrical resistance as a material constant. This material constant can be influenced by alloying metals. In high-frequency systems, HF and microwave terminating resistors fulfil very important roles by absorbing power, adjusting reflection or line matching. The following examples provide an overview of common HF and microwave terminators and highlight relevant parameters which need to be borne in mind in the respective applications. Terminating resistors, which are also referred to as terminators, substitute resistors or (dummy) loads, absorb undesirable energy (or energy which is better not being used) in electronic circuits and convert it into heat. In the case of high-frequency or microwave transmission, these are used to terminate HF antenna outputs, which typically have an impedance of 50 Ω or even 75 Ω in the case of radio transmission. 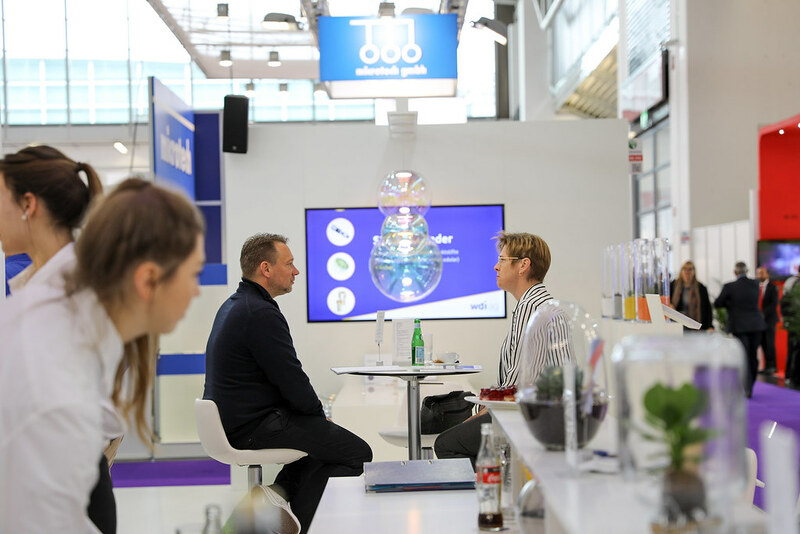 Interview with Niels Hagen, Product Marketing FCP at WDI AG. The quartz crystal is a “diva amongst components” and is not exactly the darling of developers. Niels Hagen explains what working with quartz crystals really entails. WDI has made a point of specialising in technical consulting and design-in support in both of its divisions, FCP (frequency control products) and PEMCO (passive and electromechanical components). As a result, WDI views itself neither as a traditional “broadliner” nor as a niche specialist. “We offer our customers added value by using our expertise to provide a solution with innovative and sophisticated products," explains Christian Dunger, CEO of WDI AG. According to Christian Dunger, CEO at WDI AG, MEMS-based clock generators have been around for “barely ten years”. Dunger recalls that “very early on, active marketing initiatives created the impression that the final hour had come for traditional, quartz-based oscillators”. To the great disappointment of the MEMS oscillator pioneers, SiTime and Discera, this prediction has not yet come true as the dominance of quartz components continues undiminished. According to Dunger, the manufacturers of MEMS clock-generator components initially concentrated on the high-volume segment, “ideal” for the MEMS oscillator “thanks to its design”. Yet, as Dunger explains, it soon became clear that there was little demand for large unit volumes, especially in the European and American markets. A world without noise would be ideal for an electrical engineer. But what is this noise? What do we mean by electrical noise? Or, more specifically: what is phase noise? As engineers, we know intuitively that a low noise level in a system is better than a high noise level. However, we somehow have to record this noise in quantitative terms using units and concepts which are acceptable to us all – and that’s what we hope to do in this article. We also examine the difference between the phase-noise performance of mass products and reasonably-priced high-performance quartz oscillators. Flash drives for mobile devices are subject to rather demanding requirements with regard to size, power consumption, shock resistance and service life. This inevitably has an impact on the components used in the memory sub-system, such as the clock generator. Modern MEMS oscillators are particularly good for such storage applications. Back in the 1990s, solid-state drive technology (SSD) was used solely for special small-format storage applications, such as digital cameras or USB sticks. With the costs per gigabit for this technology continuing to fall, SSD is now able to compete with traditional hard drives (HD) and is increasingly taking over in the area of client and enterprise computing. A portable HF source with low phase noise opens up new opportunities in development work and in the laboratory, where bulky and expensive measuring equipment would previously have been required. Until quite recently, the use of a 1 GHz signal source with low phase noise was prohibitively expensive, restricting it to high-end applications where the high cost of using this technology could be justified. According to WDI CEO Christian Dunger, current lead times for frequency-control components are between “low to normal”. However, if demand were to soar suddenly due to higher demand in certain market segments (such as the automotive or telecommunications industries) “short-term bottlenecks could occur in supply. This is because stocks in customer, manufacturer and distributor warehouses are kept relatively low”. Developers of analogue mixed-signal designs seeking to design custom frequency-control components will, where possible, find the component they are looking for more quickly if they plan their project with a distributor. One such service provider has even signed contracts with 28 relevant manufacturers for said components. According to WDI CEO Christian Dunger, “customer and manufacturer warehouses worldwide are relatively empty, which is why many of our products are living a kind of ‘hand to mouth’ existence”. This could lead to problems if demand were to soar. Having said that, current lead times are between low to normal. At the start of 2012, lead times for the highly popular 3.2 x 2.5 mm model were still between 8 to 12 weeks, but had dropped to the standard average of 4 to 6 weeks by the start of 2013. Nowadays, it would be inconceivable to build cars without frequency-control components. They are used for a range of different applications in the automotive industry, but in particular for engine control, safety systems and in automotive information and communication technology. The introduction of microcontroller units (MCUs) and the associated use of clock generator components have revolutionised the automotive world. The first quartz crystals were used back in the 1930s in car radios manufactured by Galvin Manufacturing Corp. Today, a multitude of frequency-control components is to be found in each and every car because clock signals are an essential part of the way control devices operate. It is often hard to specify the exact braking resistor required for a given application. That’s because there can be different application and environmental parameters at play which aren’t always fixed at the outset. However, we need to know this information if we are to choose the right braking resistor for the application in question. The main purpose of a braking resistor is to slow down a torque, or - to put it more precisely - to convert kinetic energy into heat and dissipate this heat in a controlled manner without damaging or destroying the apparatus / equipment. If an electrical machine or a motor is switched off, they act like a generator - and this energy has to be absorbed. Spring contacts are definitely more versatile — and they should certainly not be restricted to use as programming modules or test probes. In this report, WDI refutes their reputation as a boring module and tells us about their design, versatility and possible applications. Spring contacts are the sensible alternative in all scenarios where a rigid connection is not viable, e.g. due to vibration, or where a blind connection needs to be established with a mating face. Spring contacts are always gold-plated and provide a reliable and durable connection. As frequency-control components, quartz crystals continue to dominate in many applications. However, with demands for improved resistance to shock and vibration, “semiconductor processes will come into their own for manufacturing purposes – and the growing trend for miniaturisation also means additional benefits”, points out Gerd Reinhold, from FCP Product Marketing at WDI AG. Historically speaking, the quartz resonator has always been one of the most fragile components in an electronic system. This is hardly surprising, as the resonator consisted of a large quartz crystal which was fitted in a metal housing with metal clips – such as the large, round crystals from the AT cut, seen in particular in the HC49U housing. This design really could not withstand vibrations in excess of 50 to 100 g.
MEMS oscillators are becoming increasingly popular and have distinct advantages over quartz-based versions. The hope is that they may be able to replace these, at least in part, in the future. This article describes how this might happen. Increasing digitalisation in the electronics industry means that practically every electronic module is now equipped with a microprocessor or microcontroller. As these components operate sequentially, these systems and their peripheral components need to be timed. This function is currently provided primarily by quartz oscillators which have consequently seen their market share and technical importance rise sharply in recent years. However, a quartz oscillator is not always the perfect timing solution — although it is often used for timing in electronic systems. Oscillators in digital circuits are designed to keep time reliably within the specified temperature range – and to do ensure this happens, testing during production is vital. In digital circuits, clock generators are usually provided by oscillators with a mean precision of, say, ±50 ppm across an operating temperature range defined by the user. Such clock oscillators are usually quartz crystal oscillators where the quartz crystal is accommodated in a hermetically sealed housing together with the relevant integrated circuit, connected via bonding wires. WDI’s product range, largely based on quartz crystal oscillators, is now being expanded with the introduction of semiconductor-based MEMS frequency generators by Discera. The distribution agreement recently concluded with the US manufacturer covers Germany, Austria and Switzerland. Although the market for MEMS-based frequency generators is still a niche one at the moment, Europe’s largest specialist distributor of clock-generator components now also wants to be involved in semiconductor-based frequency generators. After a brief digression into the development of TCXO temperature-compensating technologies since the 1960s, this article explains the state of technology today. Thanks to the high level of integration of digital and analogue compensation circuits, stabilities in precision TCXOs are now possible in the sub-ppm range. For over 50 years, thermistor/resistor networks have been used widely in the temperature compensation of quartz crystal oscillators. In so doing, a correction voltage generated by a network of one or more thermistors eliminates the frequency/temperature dependence in a voltage-controlled quartz crystal oscillator. With the emergence of capacity diodes and in the wake of improvements made with NTC (Negative Temperature Coefficient) thermistors, considerably more precise compensation has become possible in the case of quartz crystals, enabling stabilities of 0.5 ppm. In E&E Kompendium 2012, Falko Ladiges of PEMCO Product Marketing at WDI AG reports on reliable protection for circuits that enables them to function perfectly despite higher starting currents, high-voltage impulses and other overload states. Resistor circuits have long been seen as a secure, cost-effective form of circuit protection, providing controlled protection in the event of an error status. The application determines the nature of the suppressor circuit and the resistors to be used. This means that the type of resistor (wire, metal film, metal oxide or chip) that is best able to meet the performance requirements must first be selected. Issue 41/2011 of Markt & Technik contains a feature on Taiwan producer TXC with whom WDI has expanded its range of clock generators for the automotive market. 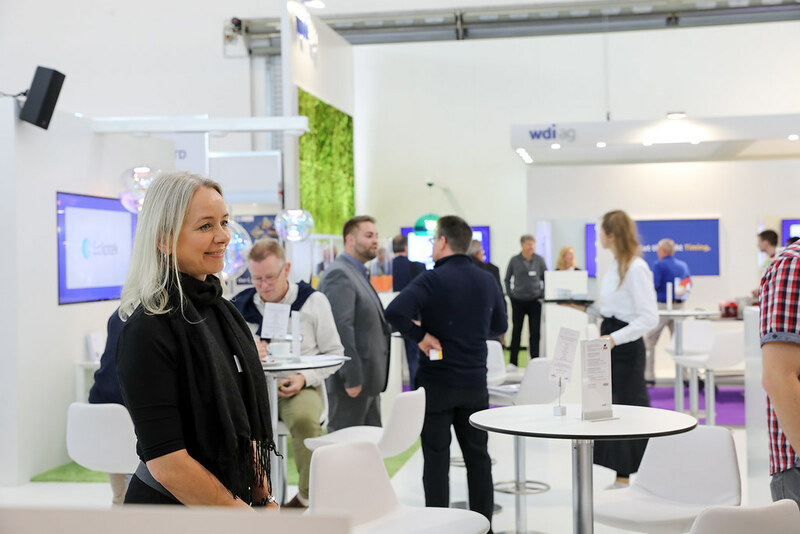 WDI represents the manufacturer in Europe, not just as a distributor but also as its agent with responsibility for direct customer business in the automotive sector. Currently hovering just outside the top 3 in the world, TXC is the fourth biggest producer of clock generators across the globe. At the same time, TXC is the largest non-Japanese supplier of frequency control components to the automotive sector, giving it a crucial competitive advantage. In the face of customers’ commercial interests and ever-increasing technological demands, the market for oscillators is becoming ever more specialised. An article in the September 2011 edition of Design & Elektronik Kompakt brilliantly illustrates this trend by citing examples from network engineering, portable applications and automotive engineering. When it comes to newly developed oscillator technologies, it is not just about ever higher frequencies: ongoing optimisation in relation to phase noise, jitter, design and power consumption is just as important. In addition, it is becoming ever more complicated and costly to meet the requirements for the growing share of portable applications - usually the smallest designs. This explains why the market for oscillators is becoming increasingly specialised. In the 10/2011 edition of Elektronik Praxis, Roland Häni, Senior Application Engineer at Swiss-based RTC specialist MICRO CRYSTAL, and Gerd Reinhold, FCP Product Marketing at WDI AG, offer important insights into the correct and functional design of circuits, highlighting the pros and cons of various technical approaches to design. Many applications need time and date information – from domestic appliances with a simple time display to cash machines or payment systems where the time and date are printed on slips of paper, or mobile telephones where timing data also need to be generated in standby mode. April 2011Quartz - a problem child? Quartz - a problem child? 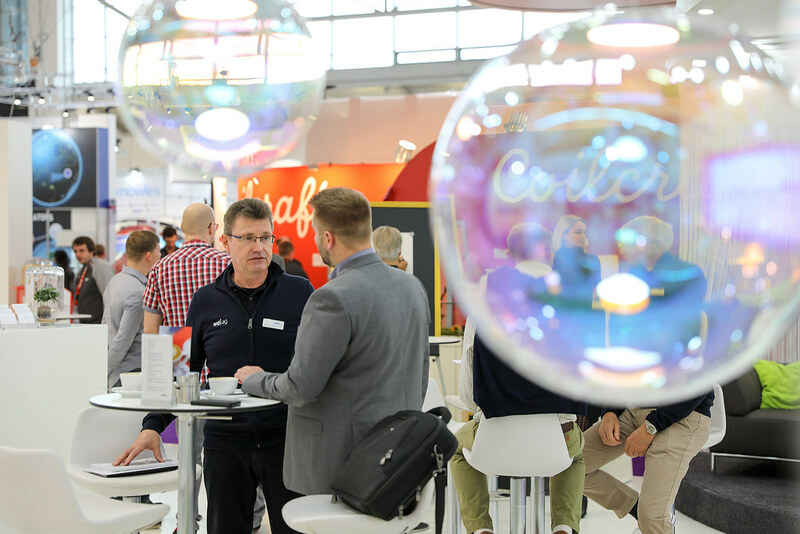 In the 04.2011 edition of E&E, Gerd Reinhold of FCP Product Marketing at WDI AG, answers frequently asked questions about quartz crystals under the heading "True or False", offering important tips on how to ensure that crystal specifications are correct. Because of its complexity, quartz is seen as a "diva" among components, not exactly endearing itself to developers. WDI AG is a distributor specialising in the "Frequency Control Products" market segment. As well as offering products from a wide range of manufacturers, WDI AG also provides extensive FAE support to help developers choose the right frequency generator. February 2011Market challenger set to take off? Market challenger set to take off? The 08/2011 edition of Markt & Technik takes a fresh look at the question "MEMS: yes or no?" Stefan Hartmann (Epson Toyocom), Harald Rudolph (KVG) and Christian Dunger (WDI AG), discuss the technology, performance and market prospects of the MEMS clock generators currently being heavily promoted in the media. Bosch spin-off SiTime, financed through venture capital, started business five years ago. By offering products in the 200 kHz to 800 MHz range, this MEMS specialist now addresses almost all important segments, from consumer to industrial applications. What’s more, SiTime is now seeking to challenge quartz oscillators, tried and tested for decades in the clock-generator industry. In the special edition of Distribution + Dienstleistung from Markt & Technik (issue 01/2011), Christian Dunger, Board member of WDI AG, explains the special status and function of specialist distributors in the market environment dominated by broadliners. By offering clock generators, WDI specialises in highly complex products that require a lot of pre-sales support. However, WDI doesn’t want to be pigeon-holed as a niche player, as Christian Dunger, Product Marketing FCP at WDI, explains. WDI AG may be seen by many of its customers as a specialist in quartz crystals and oscillators. Yet, these products only make up part of its overall product range. In the 11/2010 issue of Elektronik Industrie, Falko Ladiges (PEMCO Product Marketing) explains its large selection of highly compatible products - from classic passive components (resistors, potentiometers, and so on.) to electromechanical products (connectors, batteries, etc.). With its extensive range of frequency-control components, WDI has gained a good reputation. So it’s easy to forget that WDI’s range of classic passive components and electromechanical components has undergone major expansion in recent years. In the 10/2010 edition of Design & Elektronik, Falko Ladiges (PEMCO Product Marketing) explains how to select optimised resistors for digital electricity meters and adapt them for specific applications. In recent years, there has been a fundamental change in the design of electricity meters, with a move away from electro-mechanical Ferraris meters. Application-specific, standard ICs available from a range of suppliers mean that commercially viable mass-market digital systems are now possible. Yet, however advanced these "smart meters" may be – they all need analogue front-end components if they are to work reliably and accurately. In his article about thick-film heating elements in the 10/2010 issue of EL-Info, Falko Ladiges, PEMCO team leader at WDI AG, explains the technology behind them and looks at possible applications. Thick-film heating elements ensure direct surface contact to provide optimum heat transfer exactly where it’s needed. Compact and with a flat profile, thick-film heating elements on ceramics can replace existing heating elements. As well as offering product design benefits, they are more cost-effective and require less space. Board member Christian Dunger uses the "Distri am Wort" column in the 09/2010 issue of Elektronik Journal to discuss current and future developments in the market, and to explain the strategy and USPs of WDI AG. PEMCO and FCP (frequency control) are the areas in which WDI specialises: business is going well, but the lead times are a bit of a stumbling block for industry. After getting off to a great start in the first six months of this year, WDI is expecting a slight slow-down in the market as a whole during the second half of 2010. In Distribution Quarterly 03-2010, Markt & Technik reported on our activities and our continuous growth in the PEMCO sector, passive and electromechanical products. As a distributor of frequency control products, WDI has been established on the market for many years. Consequently, WDI is by no means merely a specialist distributor of frequency control products, but has also manufactured a linecard in the passive and electromechanical components and batteries (PEMCO) sector, which is something to be proud of. The output signals of oscillators are not perfect. Common problems often include jitter and phase noise. But what are the actual causes? Gerd Reinhold, Field Sales, FCP Product Marketing at WDI AG, explains the causes and consequences in detail in issue 13/2010 of ElektronikPraxis. An oscillator can still be good - depending on its quality, the output signal contains unwanted noise and interference signals. Typical problems include unclean output frequencies and harmonic or subharmonic interference, for example. This article deals with the main causes of unwanted interference signals. Do MEMS oscillators replace traditional quartz oscillators? What are the technical differences and what advantages and disadvantages does MEMS technology offer? We explain in the 27/2010 issue of Markt & Technik. Christian Dunger, Team Leader, FCP Product Marketing at WDI, a specialist distributor of frequency control products, believes that MEMS oscillators have future potential. However, he believes that MEMS technology will be not replace established quartz products in the foreseeable future. According to Dunger, both technologies have a right to exist. The use of a MEMS oscillator depends on the application and its requirements. There are many electronic component providers and the market is hotly contested. But why are some more successful and constantly growing even in difficult times? In our 03.2010 issue E&E surveyed leading distributors to find out their personal opinions. Components can be purchased by almost anyone - the art goes far beyond just selling. At the same time, more and more distributors are penetrating the market. USPs are a prerequisite in order to stand up to the competition. E&E questioned respondents about the crucial differences. We post the latest videos about WDI AG on our YouTube channel. As well as trade show reviews, you’ll also find interviews with employees and much, much more. On Flickr, we regularly publish pictures relating to WDI AG, including photos of events (e.g. trade shows), products, business trips and much, much more. We present ourself in the largest social network in the world with our WDI fan page. Interested business partners can reach us on Xing. Of course, the WDI AG is also represented on Linkedin.